SCC633 is a Field Mounted Temperature Transmitter with signal isolation and HART communication. HART technology superimposes digital communication on top of the 4-20 mA signal for two-way field communication and enables additional information beyond the normal process variable to be communicated to and from the field instrument. The transmitter is housed inside an flameproof (certified for gas groups I, IIA and IIB) enclosure with an IP65 rating; a good level of protection against water and completely dust proof. SCC633 ships with customer specific measurement range settings, requires no external power supply when configured by USB interface and is programmed via simple and user friendly software. This HART transmitter is used to convert a variety of input signals into a scalable 4 to 20 mA analogue output signal. SCC633 converts 8 types of thermocouples (B, E, J, K, N, R, S, T), 8 types of RTDs (Pt100, Pt500, Pt1000, Cu50, Cu100) resistance (0 up to 400, 2000 or 10000) and a wide range of linear voltage inputs (-10-75 mV, -100-100 mV, -100-500 mV, -100-2000 mV ). SCC633 has a multi parametric back lit rota-table LCD display to facilitate programming and display bar graphs of process values. The HART transmitter has an internal temperature sensor for active temperature compensation. SCC633 provides galvanic signal isolation of 2000 V AC RMS, 50 hz / 1 minute. This is a highly quality temperature transmitter, with a response time of 1 second and efficacy loss of less than 0.05% per year. TX3DR is a loop-powered isolated pipe-mounted Isolated Temperature Transmitter. It receives input from 8 types of thermocouples (B, E, J, K, N, R, S, T); Pt200, Pt50 & Pt100 RTDs; and 4-20 mA and 0-50 mV linear input. 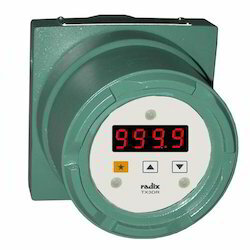 Operators can calibrate ZERO and SPAN easily via membrane keys on the front of the temperature transmitter. TX3DR has a large 4-digit LED display on the front of the instrument to indicate the process value and facilitate programming. It is powered by a 11.5-32 V DC loop supply. TX3DR provides signal isolation between input and output of 1000 V AC RMS/1 minute and 250 V AC RMS/continuous. It’s output is selectable between 4-20 mA / 20-4mA. Programmable parameters on TX3DR include digital filter level, sensor break upscale and downscale limits, unit of measurement, output type and auto-ranging, which must be specified by the user before ordering. 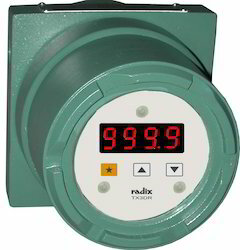 Radix also provides a flameproof version of this temperature transmitter which is certified for gas groups I, IIA & IIB. TX3DR is a loop-powered isolated Temperature Transmitter housed in a heavy-duty aluminium alloy flameproof enclosure. The enclosure is certified for gas groups I, IIA & IIB (optionally for group IIC also) with IP65 rating - completely dust proof and a good level of protection against water. TX3DR receives input from 8 types of thermocouples (B, E, J, K, N, R, S, T); Pt100, Pt50 and Pt200 RTDs; and 4-20 mA and 0-50 mV linear input. It’s output is selectable between 4-20 mA or 20-4mA. Programmable parameters on TX3DR include digital filter level, sensor break upscale and downscale limits, unit of measurement, output type and autoranging, which must be specified by the user before ordering. 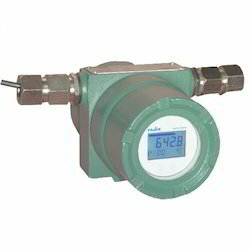 Looking for Pipe Mount Temperature Transmitters ?